The President has pegged a lot of his success to the strength of the stock market? Yet, the stock market hasn’t been so strong lately. Now what? Though the stock market has been very strong since it bottomed in 2009, (the Dow nearly tripled under President Obama and the Nasdaq nearly quadrupled), the market has fallen swiftly and dramatically since early October. What might be the reasons for this and what should you do to protect yourself? 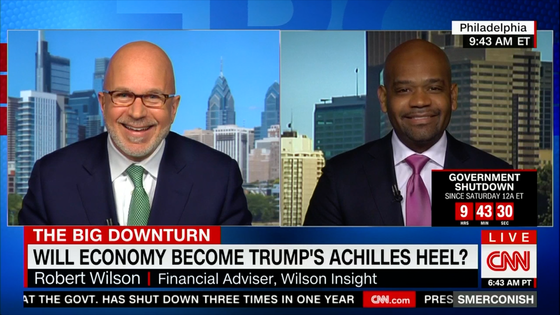 I had the exciting opportunity to share my thoughts with an international audience on the Michael Smerconish Show on CNN, where we talked about the connection between Washington foolishness and Wall Street fear. Check out the video above for my thoughts why the markets are suddenly falling and my tips on what you should do not to protect your portfolio.